Rebecca Rouse, PhD is an Assistant Professor at Rensselaer Polytechnic Institute in Troy, NY. Rouse’s research focuses on theoretical, critical, and design production work with storytelling for new technologies such as augmented and mixed reality. Rouse designs and develops projects across museums, cultural heritage sites, interactive installations, and theatrical performance, all with the thread of investigating and inventing new modes of storytelling. 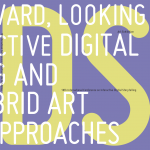 This design work dovetails with Rouse’s research in design methods, media theory and history. Rouse teaches courses in Mobile AR Design, Mixed Reality Performance Design, Playwrighting, and the history of technology at World’s Fairs and Expositions. Hollengreen, L., Pearce, C., Rouse, R., Schweizer, B., Eds. 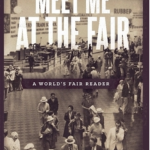 (2014) Meet Me at the Fair: A World’s Fair Reader. Carnegie Mellon ETC Press: Pittsburgh, PA.